Nature is inherently resilient and restorative. Learn how to unlock and apply the science behind Nature’s design strategies and look at challenges in the built environment through a biomimicry lens. Biomimicry, the practice of learning from nature to solve human problems, is emerging as a powerful tool for sustainable design and systemic transformation. Applied at a variety of scales, from individual products to buildings and organizations, biomimicry brings nature's 3.8 billion years of innovation experience to the table to redefine the nature of design. 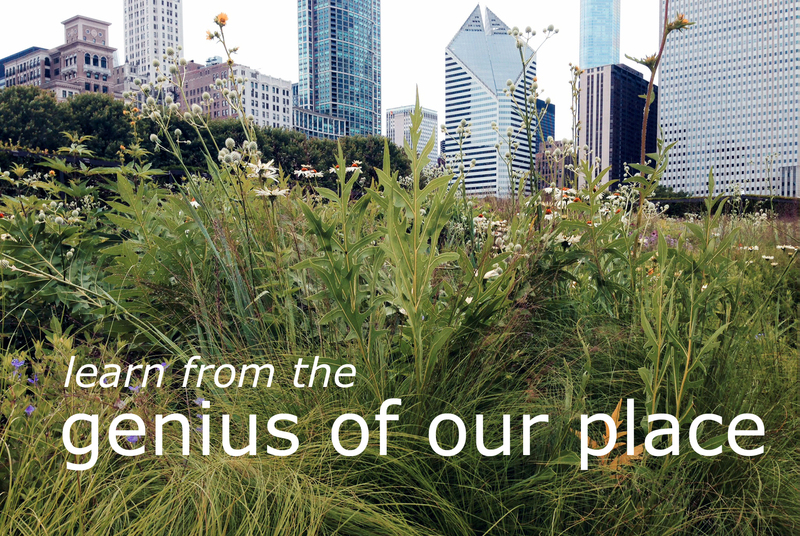 This 3 CEU course, led by Prairie Lab instructors, includes an introduction to the practice of biomimicry, a look at Life’s Principles as applied to challenges in the built environment, and a guided tour of our local prairie ecosystem where you will experience nature’s locally-attuned design strategies for yourself. Through lecture and hands-on, experiential exercises, you will explore functions in nature, from water and energy management to fostering connection to “place,” and translate them to the language of design. The biomimicry lens provides a useful perspective and design inspiration for your LEED, Living Building Challenge, and Net Zero projects.